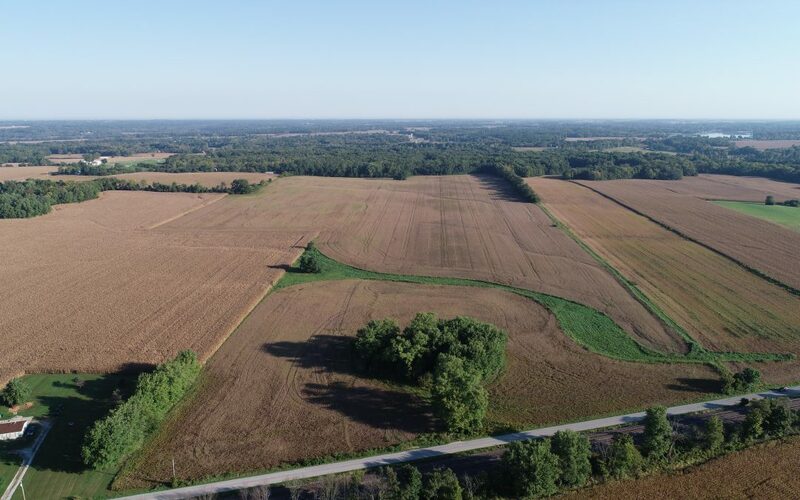 131.99 ACRES – TILLABLE – WOODS | Lawson & Co.
Thursday, November 15th, 6:30 p.m.
Parcel 2: 51.99± acres; woods; potential timber value; swing parcel (must sell to an adjoining property owner or with Parcel 1). Directions to Property: At the north edge of Fillmore, take Co. Rd. 150 N (Old Right-of-Way Rd.) northeast to the farm on the north side. Directions to Auction Site: Bainbridge Community Building, 201 N Grant Avenue, at the west edge of Bainbridge off of US 36. TERMS: Successful purchaser(s) to pay 10% down day of auction with balance due on or before December 14, 2018. TAXES: Real estate taxes to be prorated to day of closing. FINAL BID: Property to sell subject to final approval of the sellers. POSSESSION: Day of closing, subject to tenant’s rights. IMPROVEMENTS: To be sold in “As-Is” condition. INSPECTIONS: Call LAWSON & CO. at 317-745-6404.